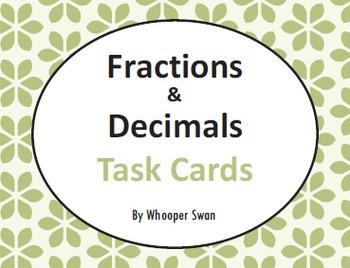 Fractions and Decimals Task Cards. In this packet you will find 24 Task Cards, Table of Contents, Recording Sheet and Answer key. Cards 1-12. 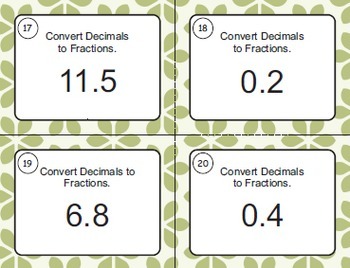 Convert Fractions to Decimals. Cards 13-24. 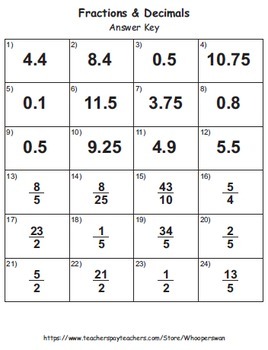 Convert Decimals to Fractions. 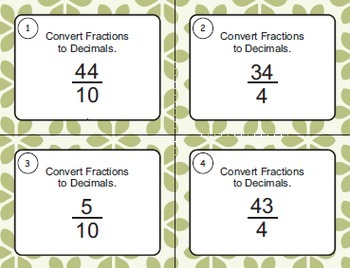 You can purchase Fraction Task Cards bundled into one large set to save you money!